As a traveller, are you more of a relaxation-minded person or a thrill-seeking person? If you’re the latter, then we’ve got a treat for you! We’ve put together a list that highlights some of the most terrifying experiences any traveller can have. There are no swim-up bars, world-class spas, or pristine golf courses on this list. It’s all about the thrill of adventure! Naturally, some of the familiar thrill-seeking experiences are on the list. However, there are some that we think you might not have even known about. 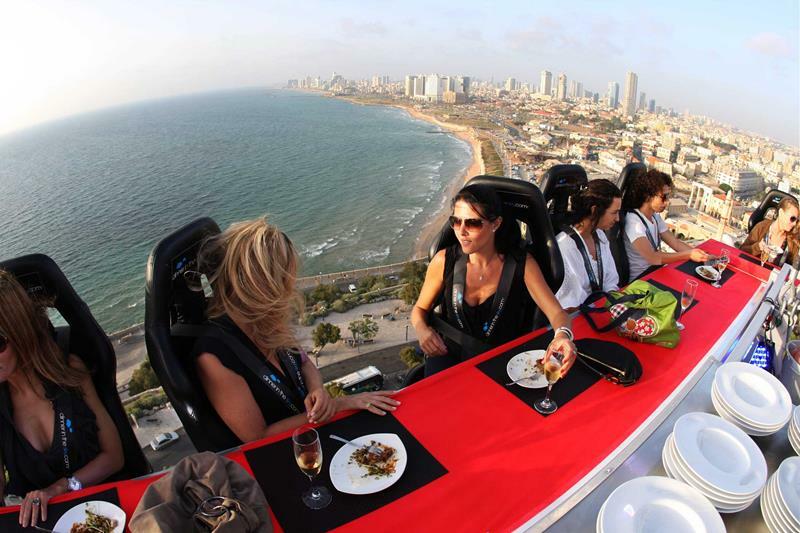 For example, we’ve found the most terrifying dining experience that money can buy (and it’s not because of the food!) 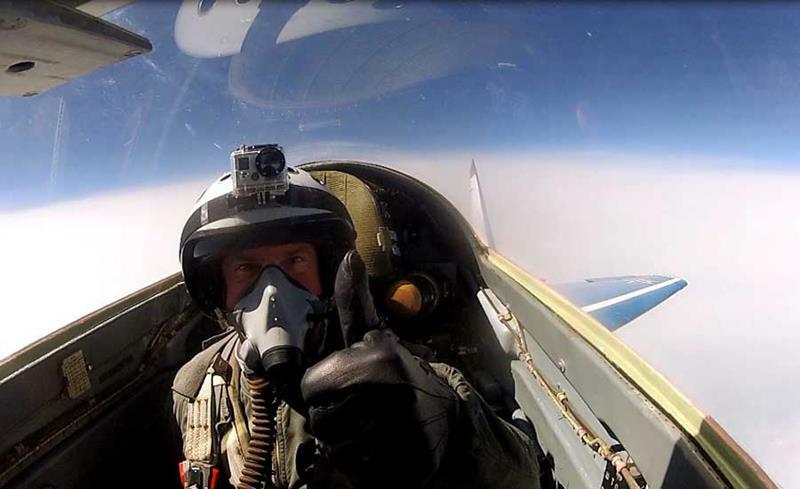 We’ve even found a place where you can find out what it’s like to fly a fighter jet… Seriously! Oh, and how does the idea of a hotel room that’s literally bolted to the side of a cliff sound to you? We’ve got that on the list too! So, if you’re looking into another thrill-seeking vacation and need some travel ideas, come check out this list! You’re sure to find something that will make the hair on the back of your neck stand up; there’s no doubt about it. This experience travels around the world, offering you and your travelling companions the chance to dine at a table hoisted hundreds of feet into the air. There’s boating and then there’s speed boating. 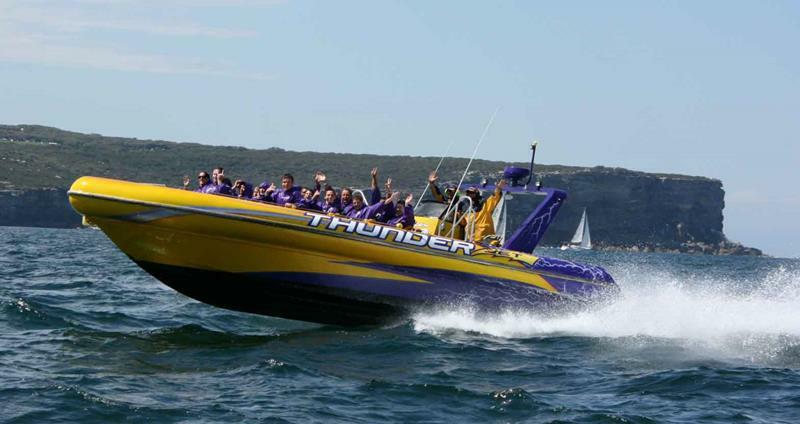 It may not seem terrifying at first, but let us know how you feel when the boat tops 100 miles per hour. In colder climates, especially those with hot springs, you’ll find this travel opportunity. If you’re fine with cold it can be great, just make sure you don’t get trapped under the ice. That’s instant death right there. 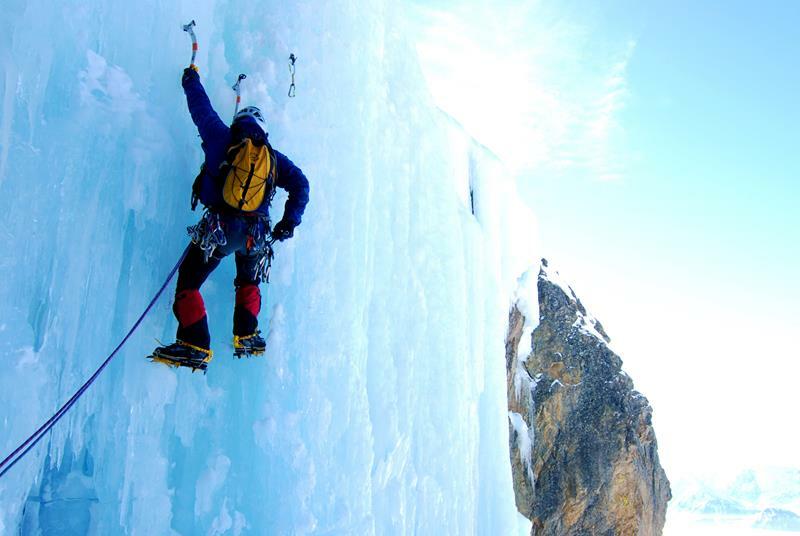 Speaking of ice, have you ever considered ice climbing? It’s just like rock climbing, except it’s far more unpredictable and thus far more dangerous. 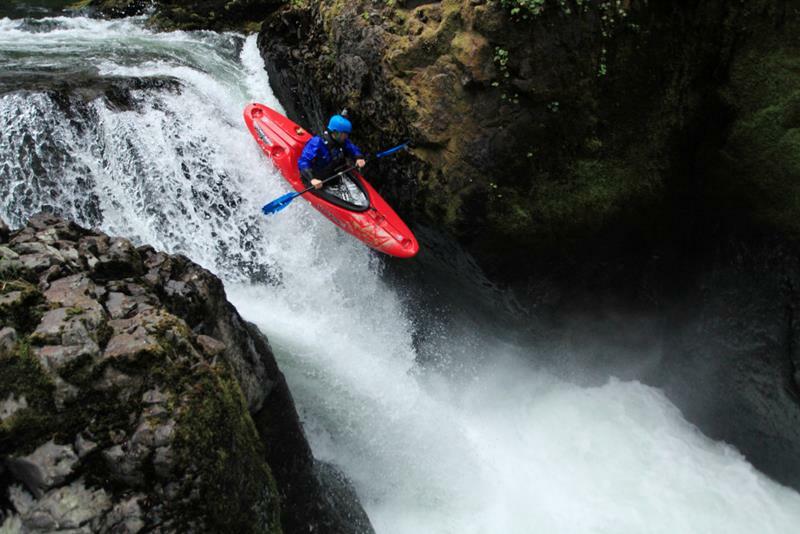 If you ever make it out to Palouse Falls and feel a death wish coming on, then why not try a kayaking experience that has you plunging over the waterfall? Seriously. They allow that. If you’ve dreamed of flying a jet and make it to Switzerland, then you can make your dream a reality by booking a journey through MiGFlug. 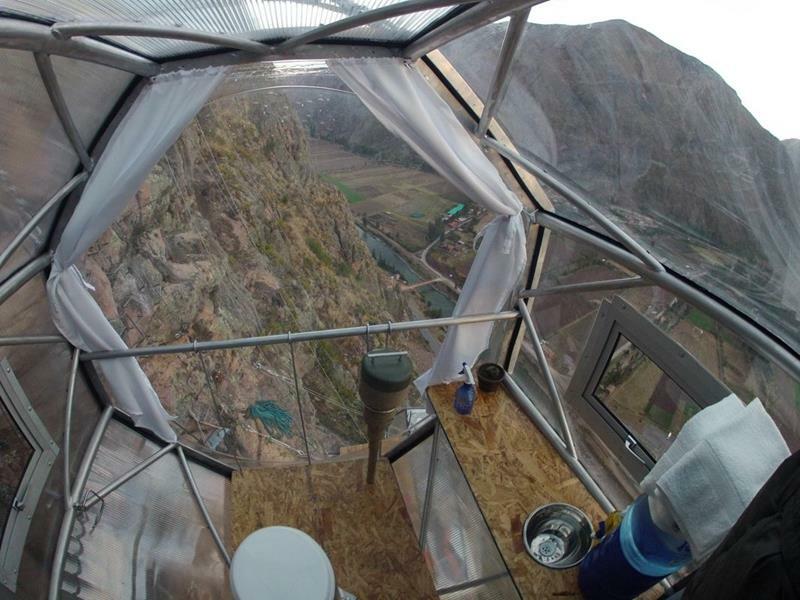 In several locations around the world you can stay in something known as a Skylodge. It’s a glass container bolted to the side of a cliff. 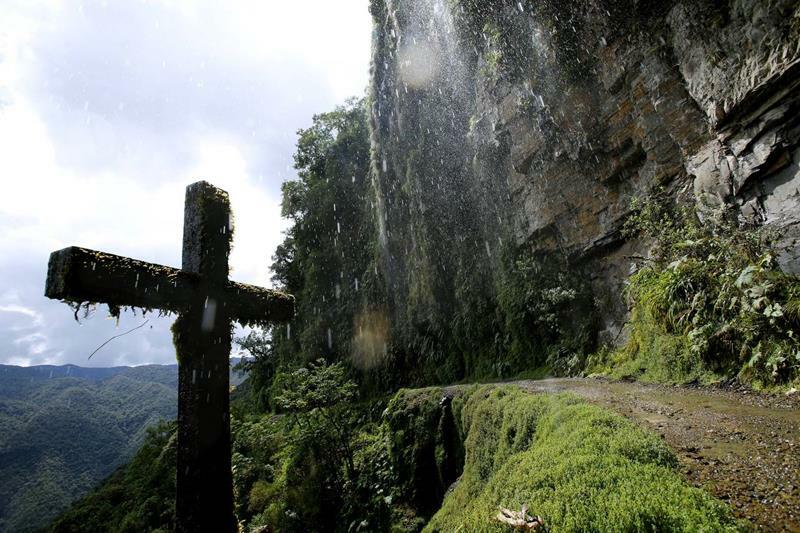 You hike, climb or zipline to your room. So, you’ve made it to the top of Mt. 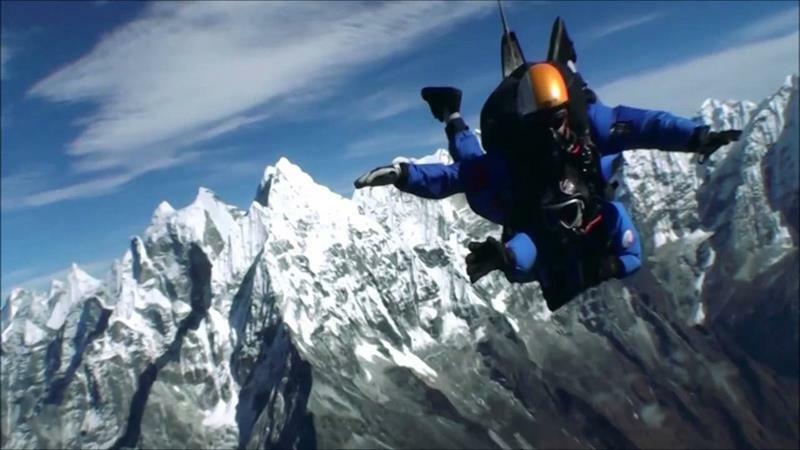 Everest… Why climb back down when you can jump off the summit with a parachute? 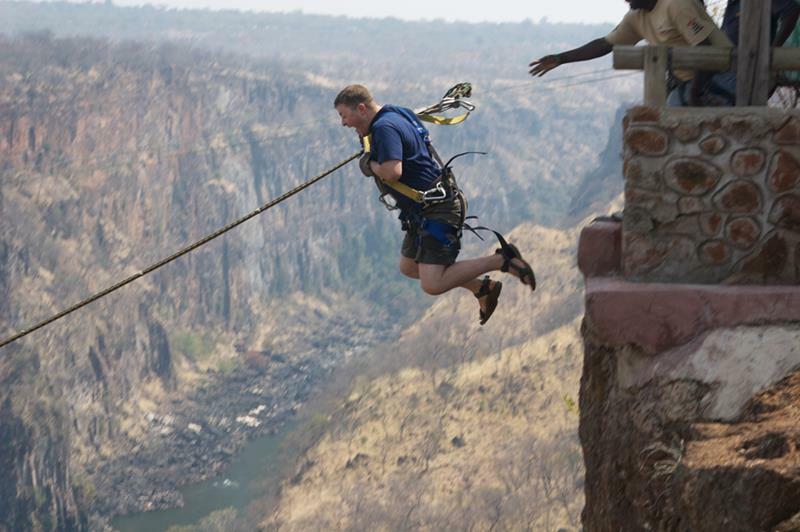 Speaking of jumping from great heights, have you ever considered cliff diving? We hear that the Death Drop in Zimbabwe lives up to its name! You’re just a spectator! How dangerous can it be? 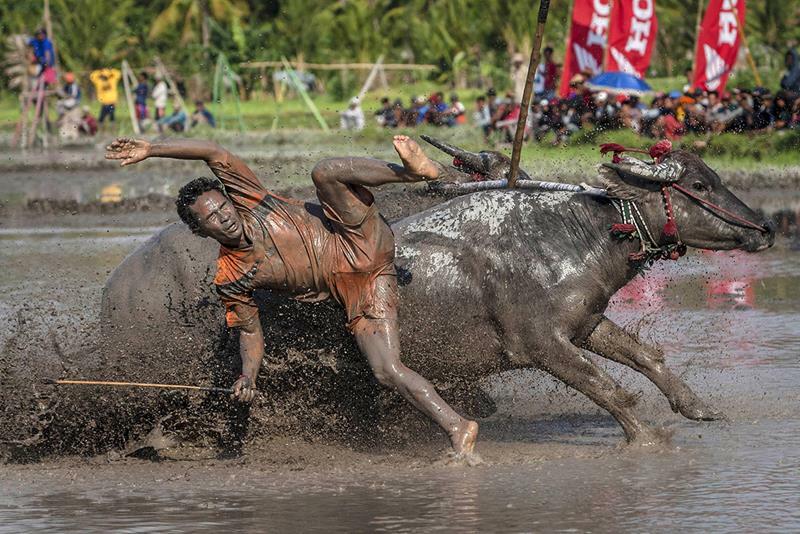 Well, water buffalo aren’t know for their predictability, and neither are the people who race them in Bali. The views are astounding, and the bicycling is great. 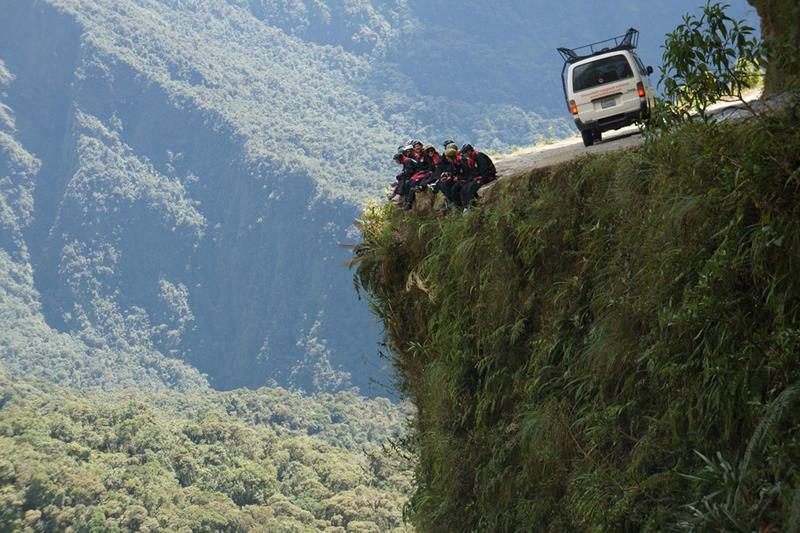 You’ve just got to make sure you avoid going over the side of the cliff. Oh, and you’ve got to avoid the motorists on this one-lane road, too. 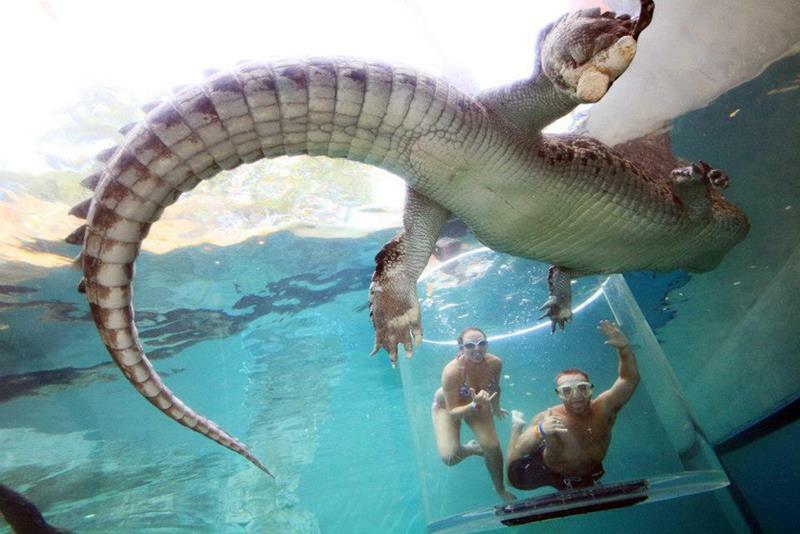 Wouldn’t you figure that in Australia – which is home to countless dangerous animals – you and your friends can get lowered into a tank with massive crocodiles? So, what makes this different than a normal marathon, you ask… Well, it takes place in the Sahara desert, and you’re solely responsible for keeping yourself supplied and hydrated. You can do this at a number of places around the world. Why is it dangerous, though? Honestly, do you really need us to answer that question? 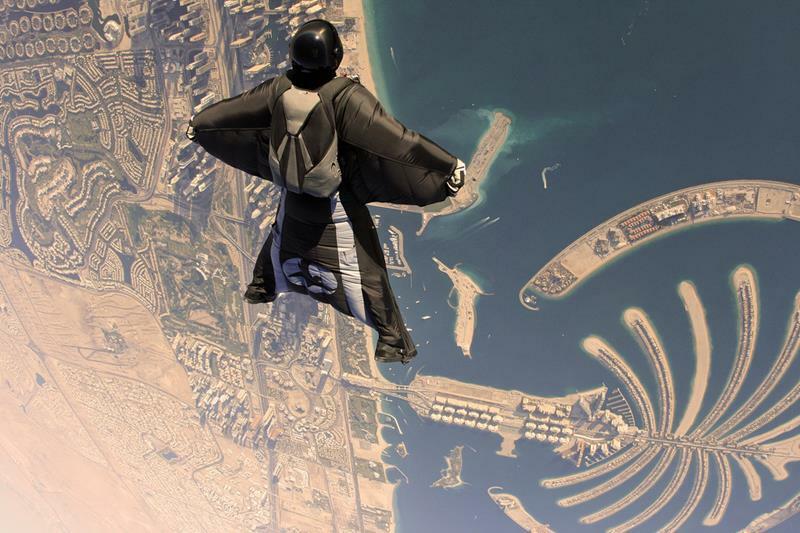 It’s wingsuit flying, for crying out loud!